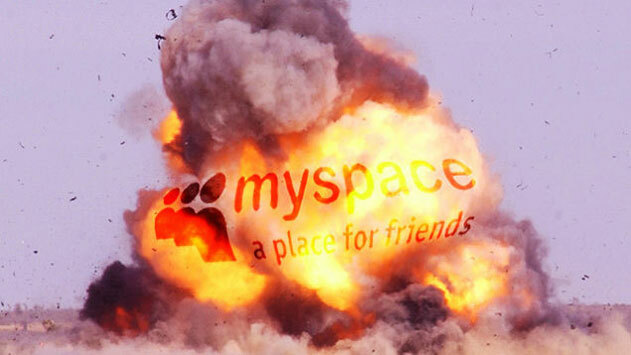 The current administration of Myspace is putting the blame of the massive data loss to a faulty server migration. The actual event seems to have happened more than a year ago, but at the time it was perceived as a glitch in the system since only a few users had reported their inability to access old content. Myspace has also confirmed to archive websites that all the music files have been lost for good, killing all hope that subsequent backups could be used to protect and curate the collection of bands and musicians who had their start on the platform for future appreciation. It may not seem like a big deal, but the lost archives include 50 million tracks from at least 14 million artists many of them just available on the site to stream. Some of the biggest names in the music industry today had their start on the website. The Myspace Generation include a line-up of people whose name currently inspire respect in the industry such as pop icons Lady Gaga, Lily Allen, Nelly Furtado, and rock bands such as Arctic Monkeys, Hellraiser, Atreyu, and Yeasayer. If you were hoping to at least save the embarrassing photos of your youth you can forget about those too. Myspace lost its shine by the end of 2009. Facebook had evolved into a much safer environment by those days. The site, however, still retained a loyal user base since many musicians had established fan bases followings them there. After the site was sold to Justin Timberlake and a board of directors for 35 million, they announced a new relaunch by 2013 that was a complete disaster. The new administration alienated the core audience by changing the classic layout to make the website unrecognizable to former fans. While the relaunch was announced with the purpose of making the platform friendlier to musicians, many of the artists who called it home had to rebuild their communities somewhere else. Web expert Andi Baio states that such as mistake is on par with a desktop user blunder who fails to save essential data on the cloud before formatting their machines. While no one is pointing fingers on this as a cause, it might have to do with the dire financial situation of the company that couldn’t be bothered to keep files over a decade old just for the sake of nostalgia. From a pure business-driven sense it’s certainly not profitable for a widing service to hold large amounts of data just because of nostalgia. While some fans still cling to the site hoping for a fix, an insider has put it bluntly: the lost data is not coming back, and we have to roll with it whatever we like it or not.